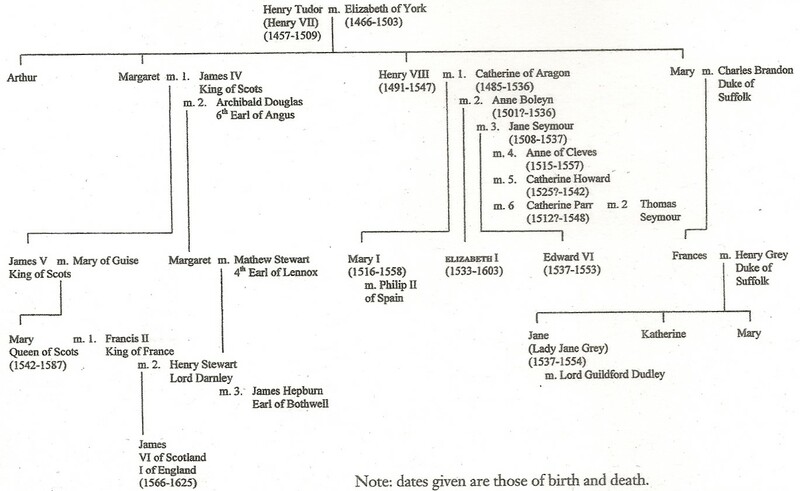 To get the bigger picture, here are genealogical tables that go from the Plantagenets to the last Tudor monarch, Elizabeth I. A Lancastrian, he was born on 28 Jan 1457 at Pembroke Castle, after his father died. He was the 2nd earl of Richmond. He succeeded on 22 Aug 1485 with the death of Richard III at the Battle of Bosworth, though he and parliament backdated his rise to kingship by one day (21 Aug), so his opponents could be tried for treason and forfeit their land. See Attainder. He was crowned on 30 Oct 1485. 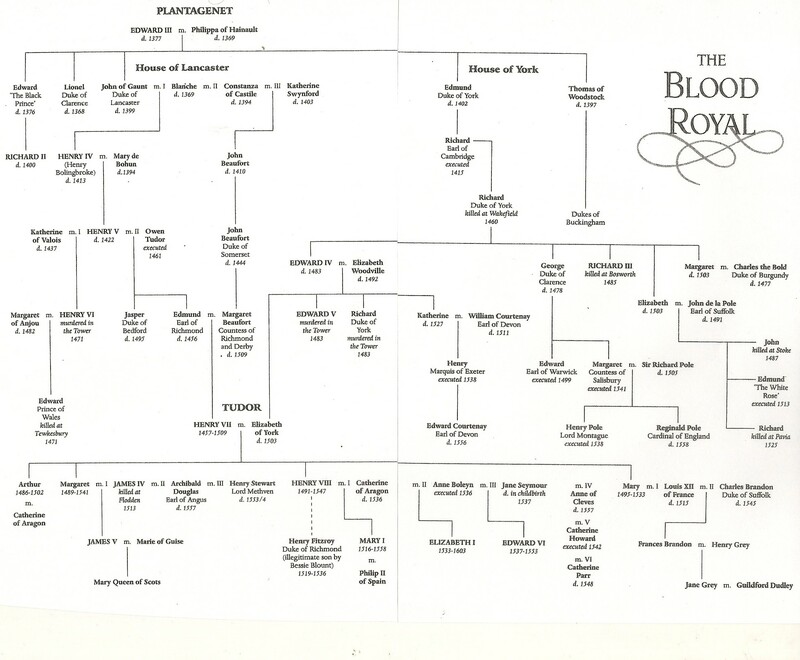 Elizabeth Plantagenet was a Yorkist, so she was also called Elizabeth of York. She was born on 11 Feb 1465/6 at Westminster Palace. She was the eldest daughter of Edward IV, King of England, by Elizabeth, daughter of Richard Wydeville, Lord High Treasurer. Henry and Elizabeth were married on 18 Jan 1486 at Westminster. Their marriage united the warring Houses of Lancaster and York. The War of the Roses was finally settled, but the Yorkists did not take defeat quietly. Though Henry was born in Wales, he was not very Welsh by descent. His father, Edmund of Hadham, earl of Richmond, was French and Welsh. Henry’s mother, Margaret Beaufort, was English. His grandfather Owen Tudor was wholly Welsh, but his grandmother Catherine of Valois was partly French and Bavarian. True, for the first fourteen years of his life, he was brought up in Wales (1457-1471), and he may have visited England more than once at most. No evidence survives that he spoke or understood Welsh. The next fourteen years of his life was spent in Brittany (northwest France today) and Lesser France (Paris and the royal domains scattered around France). However, he did claim Welsh heritage. And his son, future Henry VIII, will capitalize on it by claiming he fulfilled prophecy about a prince that must come out of Wales, just like King Arthur of legend. Henry claimed the throne by his mother, who descended from Edward III by his third son John of Gaunt, duke of Lancaster, and his third wife, Catherine Swynford, who was legitimized by Parliament. 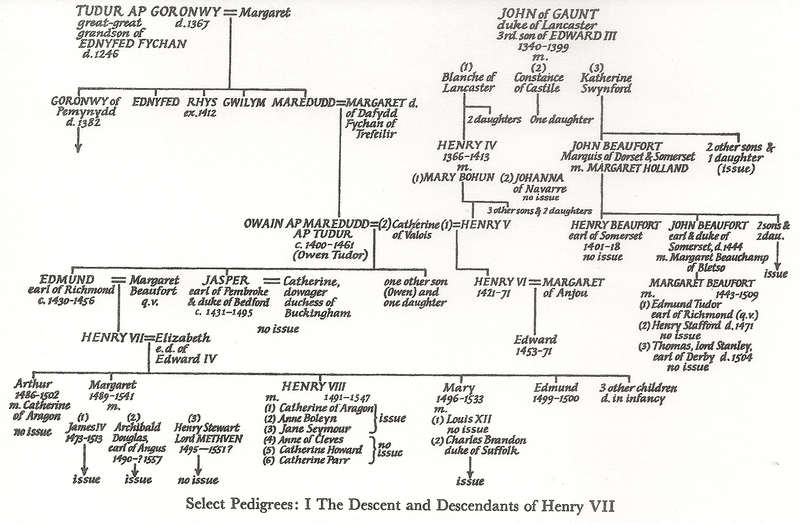 In other words, Henry was the great-great-great grandson of Edward III, but by Henry’s mother. 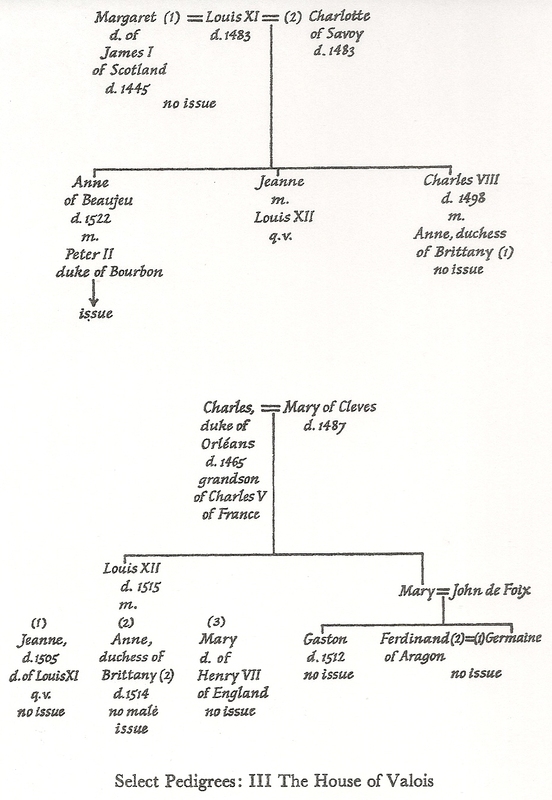 More complications: as noted, John of Gaunt had his children before he and Catherine were married, so they had to be legitimized through Parliament by Henry IV, John’s legitimate son. Henry’s father was the son of Henry V’s widow Catherine of Valois, by her secret marriage to Owen Tudor, half-brother to Henry VI. Owen was a page (messenger), so not of high birth. And so Henry’s claim to the throne was thin and weak. Elizabeth died at the Tower of London 11 Feb 1503 (her birthday) shortly after delivering a baby named Katherine on 2 Feb 1503, who also died shortly after birth. Elizabeth was buried in Henry VII’s chapel at Westminster Abbey. 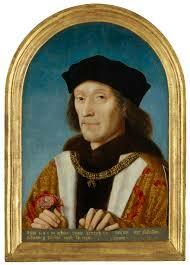 Henry died at Richmond Palace on 21 (or 20) Apr 1509 and was buried in Henry VII’s chapel at Westminster Abbey. He was born at St. Switham’s Priory, Winchester, Hampshire, 20 Sep 1486, just eight months after the wedding of his parents. He was probably weak from birth, which contributed to his ill health. His wife Catherine of Aragon was born at Alcala de Henares 15 Dec 1485. He was proclaimed Duke of Cornwall at his birth. He was made Prince of Wales and earl of Chester 29 Nov 1489. He married Catherine on 14 Nov 1501 at St. Paul’s Cathedral, London. He died at Ludlow Castle, Shropshire, 2 Apr 1502, and was buried at Worchester Cathedral. Possible causes of death: Bubonic plague, sweating sickness, influenza, tuberculosis or testicular cancer. Probably tuberculosis, which prevented a quick recovery of influenza. She married again to his brother Henry (VIII). Did Arthur and Catherine consummate their wedding? If they did, then Henry VIII could claim he should not have married his brother’s wife. And to be married legally, the wedding had to be consummated. After the wedding night, Catherine was discreet and sober. No tales out of school from her. Arthur, in contrast, came out of the bedchamber enthusiastic with a good and sanguine complexion. He called on Anthony Willoughby, one of his body servants, to bring him a cup of ale, “for I have this night been in the midst of Spain” (qtd. in Borman 57). The next day he was led by his father and younger brother and their retinue in a great procession to St. Paul’s for a thanksgiving ceremony. Catherine was kept under wraps and led up to a closet high in the cathedral, where she could watch the proceedings. Various sources say different things. We may never know for sure, but how could a fifteen-year-old boy not fulfill his duty, even if he were in a weakened state—but not so weak that he couldn’t walk or go on horseback in a procession to St. Paul’s the next day? If he was healthy enough to process, he was healthy enough to perform. She was born 2 July 1492 and died at Eltham, Kent, 14 Nov 1495 and was buried at Westminster Abbey. Her funeral was conducted at great expense and ceremony–£318 (equivalent to £155,000 today). The king commissioned a great tomb for her (Borman). She was born at Richmond Palace 18 Mar 1495. She married (1) Louis XIII, King of France, at Abbeville (Somme) 9 Oct 1514. They had no issue. He died at Paris 1 Jan 1514 and was buried in the church of the royal abbey of St. Denis. She privately married (2) Charles Brandon shortly after 4 Feb 1515 at the Hotel de Cluny in Paris and publically at Greenwich, Kent, 13 May 1515. Privately because Henry VIII (son of Henry VII) did not give permission, which they were required to seek by statute. They had one son, Henry, earl of Lincoln and two daughters, Frances and Eleanor. He was born at Greenwich Palace 21 or 22 Feb 1499 and was baptized 24 Feb 1499. He died at Bishop’s Hatfield, Hertfordshire 19 June 1500 and was buried at Westminster Abbey 22 June, next to his sister Elizabeth. She was born at the Tower of London 3 Feb 1503 and died shortly after her birth that year. He also had illegitimate children. In 1471, the Battles of Barnet, on 14 April and Tewksbury on 4 May witnessed the defeat of the Lancastrian cause. They lost both of them. Henry had to flee England for Brittany (northwest France) with his uncle Jasper Tudor. In autumn 1483, the Lancastrians lost again to Richard III. Henry’s ally, the duke of Buckingham, was beheaded. Henry had to flee to France (Paris, capital of the royal domains) after Richard III tried to bribe the duke of Brittany to hand Henry over to him. In 1485, the Valois King of France, Louis XII, supported an invasion of England, led by Henry, duke of Richmond. The fleet landed at Milford Haven on 7 Aug.
Chrimes on the finale of the Battle of Bosworth on 22 Aug 1485: “For Henry of Richmond [soon to be Henry VII], so narrowly rescued from destruction, the outcome was a scene such as had never before been seen on the soil of England. His acclamation by his soldiers still on the field, their shouts of ‘God save King Henry,’ and the symbolic placing on his head by Lord Stanley … the ‘crown’ of Richard III that had been found by someone somewhere among the spoils on the field, brought his two years’ conspiracy to a triumphant climax. 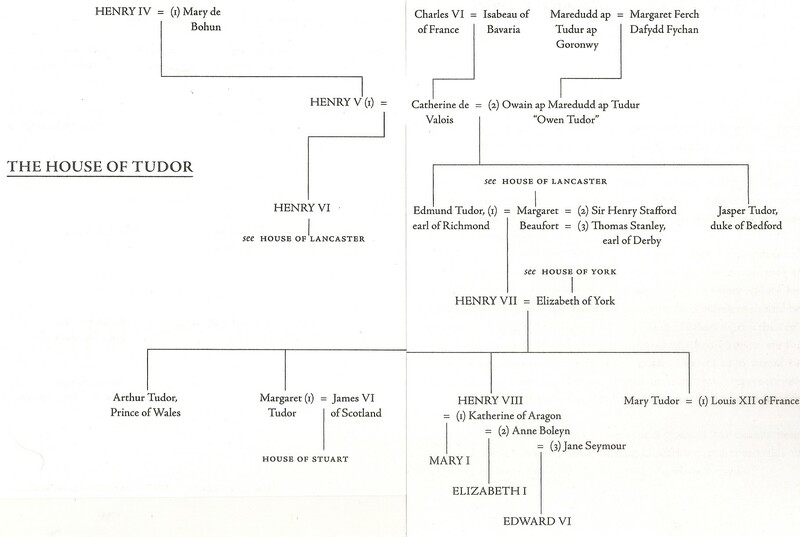 The reign of the first Tudor had begun” (49). Parliament and Henry backdated his rise to the throne by one day, so his opponents could be tried for treason and forfeit their lands. Elizabeth Plantagenet, 19, was a real beauty for the king, 27. At Rennes Cathedral, France, on Christmas Day, 1483, he had sworn to marry her, if God allowed him to depose Richard III. When he did depose him, he was quick to claim his bride, to bring many Yorkists to his side. First, however, he had to obtain papal dispensation / permission because they were too closely related to the fourth and fifth degree of kindred. Luck! The papal legate was in England; he signed the permission on 16 Jan. The wedding could proceed. Elizabeth was a daughter of the king. She knew what she was about—unlike her husband who lived in exile in France or isolation on the Welsh borders, though he grasped the situation soon enough. He deposited his betrothed with his indomitable mother Lady Margaret Beaufort. He fulfilled his promise on 18 January 1486, when they were married. They were married at Westminster Palace, probably in the Great Hall, built by William. After the wedding, the feasts: Lots of meats, which improved potency (so it was believed), and chestnuts, pistachios, and pine nuts to excite passion in the couple. An elaborate sculpture of marzipan and spun sugar, covered with gold leaf. Servants were expected to wait outside while consummation was done. They may have pressed their ears to the door to hear the deed. Henry dressed the part of king, unlike his predecessor Henry VI, who avoided luxurious clothes. The new king purchased silks and velvets and finest cloth of gold just to reinforce his right to rule and intimidate any rival lurking in the distance. Rich textiles were also purchased at huge sums. On 27 Mar 1486, the pope issues a bull (related to our word bulletin), declaring that Henry’s claim to the throne was recognized by Rome. In April of that year, Henry crushed a revolt led by Lord Lovell, one of Henry’s ministers. In 1487 another revolt was led by John de la Pole, earl of Lincoln. His mother Elizabeth was the sister of Edward IV and Richard III. She may have been Richard’s designated heir. De la Pole had the backing of his aunt, the dowager duchess of Burgundy. The figurehead of the revolt was ten-year-old Lambert Simnel, son of an Oxford joiner or baker. A priest named Richard Symonds noticed the boy’s resemblance to the late Edward IV. A rumor circulated that Edward’s two sons, the deposed Edward V and his younger brother, Richard (see below) had not been murdered, but were still alive and at large. 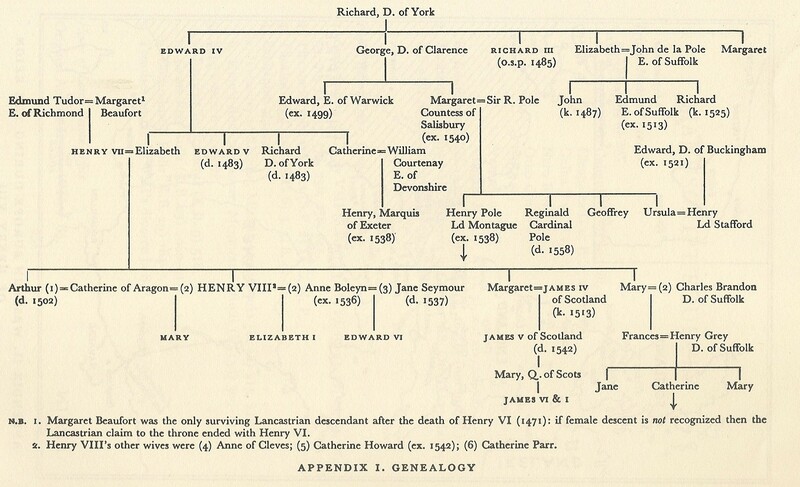 Still another rumor circulated that Edward, earl of Warwick, the young Yorkist claimant, was dead. Symonds took the boy to Ireland, a Yorkist stronghold, to coach him to impersonate the earl. The boy was led before the Irish parliament and declared the rightful heir. He was crowned Edward VI in Dublin on 24 May 1487. Henry tried to defuse the problem by bringing Edward, earl of Warwick, out of the Tower and parading him through the streets of London. That didn’t work. John de la Pole was in Dublin at the coronation, the motivating force behind the fake movement. He was the earl of Lincoln and nephew of Edward IV. De la Pole and Simnel, with 2,000 German mercenaries and an army of impoverished fishermen, landed in England. The revolt was stopped on 16 June 1487 at the Battle of Stoke. De la Pole was killed, Symonds thrown in prison for the rest of his life, but Simnel was offered a merciful fate. The king figured that he was manipulated by his youth. The king put him to work in the royal kitchen. The king also kept him alive to make a spectacle of him, a living object lesson for future imposters. The most intriguing trouble for Henry’s claim to the throne was seen in the impersonator Pierrechon de Werbecque, anglicized mockingly to Perkins Warbeck, a good-looking Flemish man, a minor official. He drew some interest, just to poke at Henry VII. First was Charles VIII of France, but Henry landed at Calais, and Charles thought better of pushing Warbeck, so they sealed the Treaty of Etaples on 3 Nov 1492. Warbeck attracted Maximilian, king of Germany, crowned Holy Roman Emperor in 1493. Warbeck traveled with the emperor. This was getting serious. Would momentum gather to place “Richard IV” on the throne? Henry put his coastal towns on high alert. His defenses even repulsed an attempted landing at Deal, in Kent, on 3 July 1495. Margaret of Burgundy trained him to play her nephew Richard, the younger of the princes of the Tower, who had disappeared in 1483, presumed murdered, when their uncle Richard became king. Warbeck tried to get support in Ireland and England, but to no avail. His strongest supporter came from Scotland. He even managed to marry a Scottish princess, King James IV’s kinswoman Catherine Gordon, sister of the earl of Huntley. Henry raised a tax to fend off a Scottish invasion. However, the people of Cornwall rose in revolt against Henry’s taxation, but the Cornishmen were defeated at the Battle of Blackheath near London on 17 June 1497. Meanwhile James IV decided to cut his ties with Warbeck. The king counted the cost: form an alliance and drop the imposter, or keep him and be the enemy of Henry? James opted for the sensible option and married Henry’s daughter Margaret. He even hired a Breton vessel to take Warbeck away. It was a diplomatic coup for Henry. Scotland and England also signed a truce in Sep 1497 at Ayton, which was renewed in 1499. Warbeck left Scotland and joined the people of Cornwall, landing at Whitesand Bay, near Land’s End on 7 Sep. Maybe they could install “Richard IV” and humiliate Henry. But he did wander. He was caught at Sheen, brought back to London, made again to confess his identity, made to sit in the stocks twice, and imprisoned in the Tower. Young Edward, earl of Warwick, son of George, duke of Clarence, Richard III’s older brother, and therefore a Yorkist claimant to the throne, was held in the tower. They tried to escape, but failed. He was hanged on 21 Nov 1499. John de Vere, the earl of Oxford, tried Warwick and found him guilty of treason, which he admitted. A week later he was beheaded at the Tower Hill. Henry secured the borders and foreign threats. Henry signs a peace treaty and free trade deal with Emperor Maximilian in 1496. In 1501, Edmund de la Pole, a Yorkist earl of Suffolk, descendant of Richard III’s older sister Elizabeth (m. John de la Pole), tried to raise support in Europe, Maximilian’s court and Flanders, to lead a revolt. Archduke Philip and his wife Joanna of Castile went to England in 1506. Henry treated them royally, and they agreed to surrender Edmund in 1506. His brother William was put there, until he died thirty-eight years later. 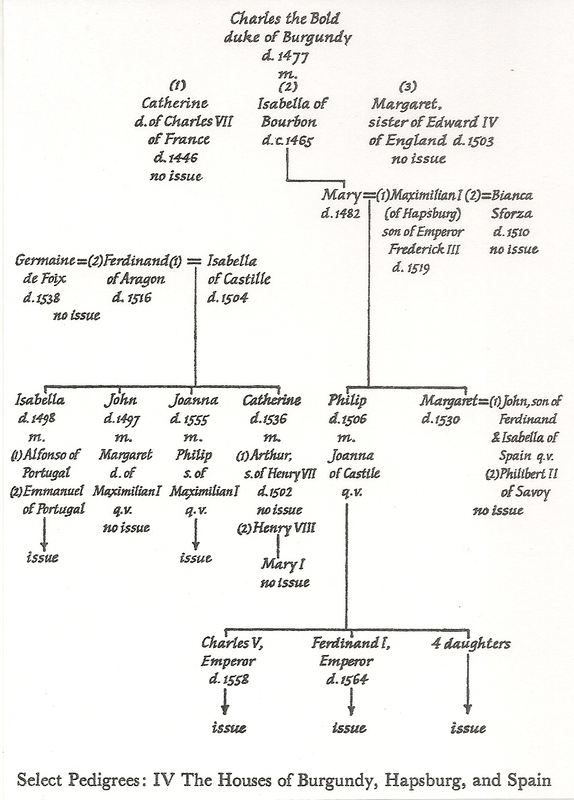 His brother Richard was still at large, and Louis XII of France decided to recognize him as Richard IV. With that, Henry’s son, Henry VIII, now king, terminated Edmund. 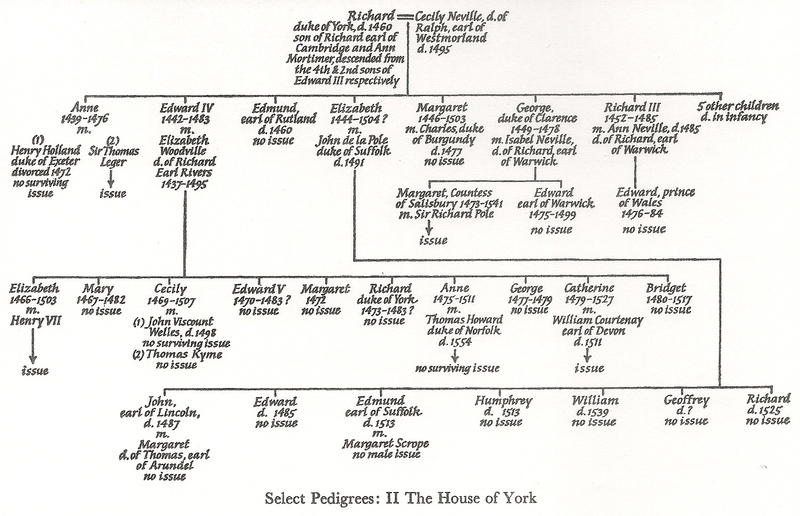 In 1503, as noted in the Family section, above, Henry’s wife Elizabeth of York died. He grieved terribly, secluding himself from the rest of the world, except his closest servants, like the groom of the stool. He took care of the king’s toilet, including wiping. When Henry recovered, he came out of seclusion with gray hair, looking haggard. He believed it was his duty to look around for another wife, including Catherine of Aragon, who was seventeen. The age difference was not unusual, but the daughter-in-law did not want to marry her father-in-law. Catherine’s mother Isabella decided to distract the king with Juana, Queen of Naples, and the niece of the king of Spain, who was widow at seventeen and now twenty-six and reported to be a real beauty. Henry requested a detailed report on her appearance, like the color of her eyes, the shape of her nose, and her “breasts …whether they be big or small.” He was pleased at the reports that came back. The marriage negotiations, however, failed for political and financial reasons. He cast his eyes towards Margaret of Savoy, daughter of Holy Roman Emperor Maximilian I. Similar age as Juana’s, she had been twice widowed. However, she opposed the match. Nonetheless, the king commissioned a portrait of himself, which is the most famous one. Apparently she was not impressed. On 23 Feb 1504, Henry created his son Henry to be Prince of Wales, four days before his thirteenth birthday, the age when boys were just about adults. Henry fell ill in 1507, from quinsy; everyone thought he would die. Bishop John Fisher, his confessor, was called. His mother Lady Margaret even ordered a substantial quantity of black material costing £57 6s 8d, a sizeable amount. But he recovered. (John Fisher would go on to serve Henry VIII and Mary I dutifully, striving to maintain Catholicism, if not Roman). As to Henry’s administrative skills, they were so sufficient that he did not need to raise special taxes for such things as war. He could live off his own land and customs duties. In 1508, Henry suffered from a bout of tuberculosis, but he recovered again, as he had from quinsy. He was well enough to watch the jousts in honor of the embassy from Emperor Maximilian. Henry ran from diseases that swept through various regions. He went to Richmond Palace. Then he was shut away, emaciated and weak. He took refuge in the minutiae of finances and accounting, which he wrote out with his own hands. In doing so he could appear greedy, but maybe he was just a “numbers guy” (so it seems to me). For the last few years of his life, disease struck him down several times, only to see him rise again. However, in April 1509, “on the evening of the 20th, Bishop Fisher noticed a change in the king’s breathing. Although it had been labored for weeks, it now seemed to come out in short, rasping breaths as Henry fought ‘the sharp assaults of death.’ He clung on until the following evening when, at 11 o’clock, the final breath left his body. His confessor administered the last rites and placed a taper in Henry’s lifeless hand, lighting his departed soul’s path to heaven. One of his servants then stepped forward and closed the king’s eyelids, masking the fixed stare of his penetrating eyes” (Borman 76). Lady Margaret Beaufort, the king’s mother, set aside her grief to plan the funeral for her only child. He was buried on 11 May at Westminster Abbey, his body laid alongside his beloved and cherished Elizabeth. At his death Henry left money so that 10,000 masses could be said for his soul. On 9 May his body in a coffin was driven on a chariot covered in black, going from Richmond Palace to Westminster. The cart was attended by 2400 official mourners and 700 torch-bearers. Then Lady Margaret turned her attention to her grandson Henry’s coronation on 24 June. It was his turn to be king, while she died on 29 June 1509. Polydore Vergil, writing several years after Henry’s death, saw and talked to the king in the flesh. Here is his recollection. His body was slender but well built and strong; his height above average. His appearance was remarkably attractive and his face was cheerful, especially when speaking; his eyes were small and blue; his teeth few, poor and blackish; his hair was thin and white; his complexion sallow. His spirit was distinguished, wise and prudent; his mind was brave and resolute and never, even at moments of greatest danger, deserted him. He has a most pertinacious memory. Withal he was not devoid of scholarship. In government he was shrewd and prudent, so that no one dared to get the better of him through deceit and guile. He was gracious and kind and was as attentive to his visitors as he was easy of access. His hospitality was splendidly generous; he was fond of having foreigners at his court and he freely confessed favors to them. But those of his subjects who were indebted to him and who did not pay him due honor or who were generous only with promises, he treated with harsh severity. He well knew how to maintain his royal majesty and all with appertains to kingship at every time and in every place. He was most fortunate in war, although he was constitutionally more inclined to peace than to war. He cherished justice above all things; as a result he vigorously punished violence, manslaughter and every other kind of wickedness whatsoever. Consequently he was greatly regretted on that account by all his subjects, who had been able to conduct their lives peaceably, far removed from the assaults and evil doings of scoundrels. He was the most ardent supporter of our faith, and daily participated with great piety in religious services. To those whom he considered to be worthy priests, he often secretly gave alms so that they should pray for his salvation. He was particularly fond of those Franciscan friars whom they call observant, for whom he founded many convents, so that with his help their rule should continually flourish in his kingdom. John Fisher, bishop of Rochester, preached a funeral oration on Henry’s passing in 1509. … his crown is, nevertheless, undisputed, and his government strong in all respects. He is disliked, but the queen is beloved because she is powerless. … The king looks old for his years, but young for the sorrowful life he has led. One of the reasons why he leads a good life is that he has been brought up abroad. He would like to govern England in the French fashion, but he cannot. He is subject to his council, but has already shaken off some, and got rid of some part of his subjection. Those who have received the greatest favors from him are the most discontented. He knows all that. The king has the greatest desire to employ foreigners in his service. He cannot do so, for the envy of the English is diabolical, and, I think, without equal. He likes to be much spoken of and to be highly appreciated by the whole world. He fails in this because he is not a great man. He spends all the time he is not in public or in his council in writing the accounts of his expenses with his own hand … He is much influenced by his mother and his followers in affairs of personal interest and in others. The queen, as is generally the case, does not like it (qtd. in Chrimes 301, slightly edited). [Having agreed to dispense her from the statute of Mortmain to enable her to proceed with one of her foundations at Cambridge] all of which things according to your desire and pleasure, I have, with all my heart and good will, given and granted unto you; and my dame, not only in this but in all other things that I know should be to your honor and pleasure, and weal of your soul, I shall be glad to please you as your heart can desire it, and I know well that I am as much bounden to do so, as any creature living for the great and singular motherly love and affection that it hath [has] pleased you at all times to bear me. Wherefore [Therefore], mine own most loving mother, in my most hearty manner I thank you, beseeching you of your good continuance in the same. Madame, I have encumbered you now with this my long writing, but methinks that I can do no less, considering that it is so seldom that I do write; wherefore I beseech you to pardon me, for verily, madame, my sight is nothing perfect as it has been, and I know well it will appear daily wherefore I trust you will not be displeased, though I write not so often with mine own hand, for on my faith I have been three days ere [before] I could make an end of this letter (qtd. in Chrimes 310-02). S. B. Chrimes accepts the authenticity of this account describing the king’s reaction to the death of his son Arthur. The passage has been modernized here. G. J. Meyer, The Tudors: The Most Complete Story of England’s Most Notorious Dynasty (Bantam, 2011). J. J. Scarisbrick, Henry VIII, new edition, Yale English Monarchs (New Haven: Yale UP, 1997). This entry was posted in Royal History and tagged Henry VII Tudor, King of England by james malcolm. Bookmark the permalink.